In his latest book, DO! Kevin highlights what makes startups and their leaders -which he dubs the “Xceptionalists”- succeed beyond all odds. 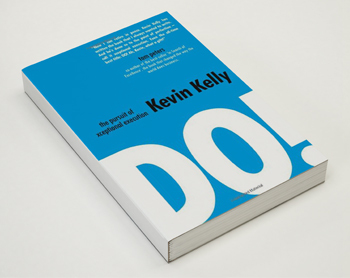 Kevin’s book features exclusive interviews with the entrepreneurs behind fast-growing, innovative startups from around the world such as Dwolla, Globant, Outfit 7,and Balsamiq, and others. Implementing the best practices of the world’s Xceptionalists will enhance your employee and customer engagement and propel profits. Co-author of the international best seller “In Search of Excellence” — the book that changed the way the world does business. If you truly want to Think Big; Do will do it for you! Success will no longer be the exclusive domain of visionaries, entrepreneurs with fully loaded business plans and well financed startups. It can be anyone’s game –including yours. The huge barrier to entry is xceptional execution and Do highlights the DNA and strategies behind some of the brightest startups on the planet. In his engaging and energetic style and with extraordinary content, Kevin Kelly has become the voice of execution. Tim Sanders, author of NYT Best Seller Love is the Killer App and former Chief Solutions Officer at Yahoo! Jim Cathcart, Hall of Fame Professional Speaker, Author of Relationship Selling.